c program,” Coastal Bend College Men’s Soccer Coach Mike Arreazola said of his all-freshman soccer team. In his first season at CBC, Arreazola brings over 10 years of coaching to the young team. He is working on rotating players to find the best fit for the group. The soccer team has already demonstrated skill and cohesion on the field during two successful scrimmages. Goalies: Arturo Martinez of Beeville; and Kyle Jackson of Corpus Christi. 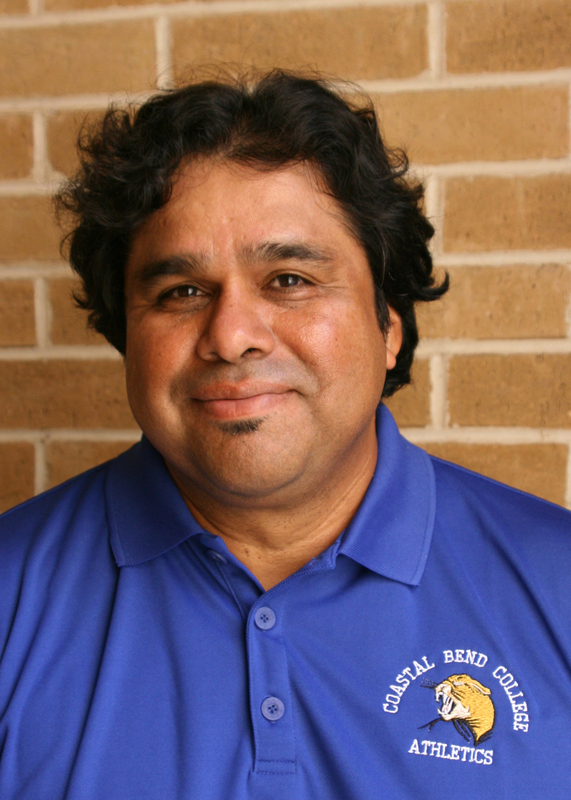 Coach Arreazola is a longtime soccer player has more than four decades of field experience. He was named All-American Soccer Player during high school and led Sunset High School in Dallas to several district championships, including play-offs all four years. Arreazola earned a four-year scholarship to play soccer for Southern Methodist University in Dallas, a Division I competitor. He graduated from SMU with a Bachelors Degree in Psychology. He has contined to play club and league soccer. Some of the challenges facing the program are persistent travel and no home field. This is a financial burden for the team and makes it difficult for local fans to enjoy the games and show support for the team. “We have yet to build a soccer field here in Beeville,” Arreazola said, “But we are working on it.” Currently, CBC athletes use the field at San Jacinto College – South as the home soccer field. This means that every game, even the home games, require travel. College officials have already designated a spot on campus to accommodate a new field and plan to break ground in the coming months. Another challenge for the coach is recruiting. Arreazola said there is a wealth of talent locally, but the draw of larger colleges and universities that offer bigger scholarships diminishes the pool. Arreazola will spend a year recruiting players for the 2011 team, beginning shortly after the current season. “This is a period of transition for us. This season is about amalgamating styles into a functioning, successful team,” Arreazola said. Coastal Bend College plays soccer in National Junior College Athletic Association Region 14 in a division shared by Lon Morris College (Jacksonville), Northeast Texas Community College (Mt. Pleasant) San Jacinto College-South (San Jacinto) and Tyler Junior College (Tyler). The 2010 soccer schedule follows.